Lay of the Land: Denmark, in northern Europe, is composed of the northern part of the peninsula of Jutland (which it shares with West Germany), and two groups of islands. To the east lies the main archipelago of some 400 islands, only about 100 of which are inhabited. On the largest of these, in the extreme east, is the capital of Copenhagen. To the west of the peninsula are the Faroe Islands and, much further, Greenland, whose status changed in 1953 from colony to a province and then, in 1979, to a sel-ruling part of Denmark. On November 25, 2008, Greenlanders voted overwhelmingly for greater autonomy. In Denmark proper, no one lives more than 33 miles from the sea. The land is highly cultivated and extremely flat. The highest mountain is 568 feet above sea level (less than half the height of the Empire State Building). Denmark is a land lacking in spectacular natural beauty, but it offers instead soft landscapes of beech trees, meadows carpeted with flowers, thatched farmhouses, and little red-roofed towns. Religions: Evangelical Lutheran 83%, Muslim 3.7%, Catholic 0.6%, Jehovah's Witnesses 0.3%, Jewish 0.1%, other Christian (Baptist, Pentecostal, Mormon, Seventh-day Adventist, Methodist) 0.2%, non-religious 6.9%. Only an estimated 3% of Evangelical Lutherans attend church regularly. Ethnic Groups: Scandinavian, Inuit, Faroese German, Turkish, Iranian, Somali. Languages: Danish (official) 90.9%, Faroese 0.8%, German (official) 0.4%, Inuktitut 0.1%, Jutish, Scanian. The earliest archeological evidence found in Denmark dates back to 130,000-110,000 BC, during the Nordic Bronze Age. From 500 BC–1 AD, the country’s earliest inhabitants began to move southward along Roman trade routes. Although the exact origins of the Danish people are unknown, they seem to derive from the Jutes, among other groups. During the 9th-11th centuries, the Vikings occupied Denmark. The country enjoyed great power as a seafaring nation based on the Jutland Peninsula, the Island of Zealand and the southern part of what is presently Sweden. The Vikings were excellent traders along the coasts and rivers of Europe and were active in the British Isles and Western Europe. During a series of Viking raids on nearby countries, they encountered Christianity (primarily in the form of Charlemagne’s empire). This influence served to empower the Danish monarchy, which was soon allied with the church. King Harald I made Denmark officially Christian in 965 AD, an event that was recorded on the Jelling Stones. In the early 11th Century, King Canute brought Denmark’s power to even greater heights by uniting the country with England. This lasted for 30 years until his death, which marked the end of the Viking age. King Valdemar II formed the Danish “Baltic Sea Empire,” which extended the country’s control from Estonia in the east to Norway in the north in 1221. Many regional laws were written during this time, including the right to property and the right of all to be equal under the law. By the late 13th Century, royal power had diminished. The king was pressured to grant a charter and constitution to the country’s people. Struggle between the king and various noblemen continued throughout the 14th Century, but Queen Margrethe I finally succeeded in uniting Denmark, Norway, Sweden, Finland, the Faroe Islands, Iceland and Greenland under the rule of the Danish crown. Alhough Sweden and Finland left the union in 1520, Norway remained until 1814. Iceland became independent in 1944. One of the most marked changes in Danish history came about in 1536, when the Reformation was introduced. This was a widespread effort to reform the Catholic Church and remove practices such as selling indulgences, which many saw as corrupt. Denmark became a primarily Lutheran country during that time and remains so today. In 1658, Denmark's provinces in southwestern Sweden were lost, and, after Napoleon was defeated, Norway joined Sweden in 1814. Denmark had been allied with Napoleon and had joined the league of Armed Neutrality with Russia, Sweden and Prussia to continue lucrative trading with France and the United Kingdom. During the 1830s, liberalism became widespread in Denmark, and in 1849, the country became a constitutional monarchy. In 1864, following a war with Prussia and Austria, Denmark gave Schleswig-Holstein to Prussia and adopted a policy of neutrality that Denmark has maintained throughout the 20th century. During World War I, Denmark remained neutral. After Germany was defeated, the Versailles powers offered to return the Schleswig-Holstein region to Denmark. But Denmark feared German retribution and insisted on a plebiscite to determine the fate of the region. On July 5, 1920, the king signed the reunion document, and the region was reunited with Denmark. Denmark also remained neutral during World War II. The German army invaded Denmark in 1940 and occupied the country until May of 1945, when the country was liberated. There were isolated instances of resistance until 1943, and much of the Jewish population of the country was smuggled out of the country to Sweden, a country whose neutrality was honored by Germany. After the war, Denmark became a charter member of the United Nations and was one of the original signers of the North Atlantic Treaty. In 1973, Denmark joined the European Economic Community (now known as the European Union), together with Great Britain and Ireland. Recently, Denmark has participated in major military and humanitarian operations in Cyprus, Bosnia, Croatia, Kosovo, Ethiopia, Iraq and Afghanistan. Danes were some of the earliest settlers and explorers in the United States. Eric the Red led a Viking crew to Newfoundland in the 11th Century, making him the first European on American shores. Other early explorers included Vitus Bering, who was the first European to discover Alaska in 1728, and in whose honor the Bering Strait was named. Other Danes sought a more temperate atmosphere and settled what is today called the Virgin Islands in the 17th Century.Tthey sold the islands to the US in 1917 for $25 million. Immigration was little more than a trickle before 1850, but picked up steam and peaked in 1882 when 11,618 Danes arrived in the United States. A significant share of immigrants came as a result of Mormon proselytizers, who arrived in Denmark in 1850, only a few months after Danes were granted religious freedom. Approximately 17,000 Mormon Danes emigrated between 1849 and 1904 and constituted the second largest foreign group of adherents to the Utah-based church, after the British. Another source of emigration was the Schleswig area of Jutland, which was annexed by Prussia in 1864. About 50,000 dissatisfied Danes from this territory emigrated to the US between 1864 and 1920, although many of them were classified as German. The largest impetus for emigration was the population boom, echoed throughout Europe, during the 19th Century. Denmark’s economy couldn’t support the surplus population (from 900,000 in 1800 to 2.5 million in 1910), and a large wave of economically motivated immigrants made their way to America. Danish immigrants congregated in the Midwest, in a continuous belt of communities stretching from Wisconsin across Illinois and Minnesota into Iowa, Nebraska and South Dakota. Since the 1950s, young, highly educated Danes have settled in the major cities of New York, Chicago, Los Angeles and San Francisco. Since World War II, Denmark has been a close NATO ally of the US and has since supported American military efforts in Afghanistan, Kosovo and Iraq. Historically, relations between the two countries have been excellent. For the past few decades, the Danish have consulted closely with US representatives on European political and security matters, as well as the potential results of enlarging NATO. According to the State Department, relations between the US and Denmark are currently excellent. Denmark has supported US military efforts in Afghanistan and Iraq and has joined with the US in the Enhanced Partnership in Northern Europe (EPINE), which is designed to strengthen policy between Nordic and Baltic states. In 2004, the Danish and Greenland Home Rule governments allowed the early warning radar to be updated in connection with the US ballistic missile defense system. This will be done at the US Air Force base in Thule, Greenland. President George W. Bush visited Copenhagen in July 2005, and Danish Prime Minister Anders Fogh Rasmussen met with President Bush at Camp David in June 2006 and in Crawford, Texas in March 2008. Overall, Denmark’s trade goals have coincided with those of the US. Denmark maintains a liberal trade policy in the EU, OECD and WTO. The US is the nation’s largest non-European trade partner, accounting for approximately 5% of the country’s trade. Furthermore, Denmark’s stance on environmental and agricultural issues, as well as its strategic position in the Baltic Sea, have made it a popular target for investors and US agencies dealing in that region. American culture continues to be popular in Denmark and more than 311,000 American tourists visit Denmark each year. According to the 2000 US census, 1,430,897 Americans identified themselves as being of Danish origin. In 2005, 122,892 Americans visited Denmark. Tourism has grown in sporadic bursts but has nearly doubled since 2002, when 65,582 Americans went to Denmark. In 2006, 185,337 Danes visited the US. The number of tourists has grown steadily since 2002, when 118,716 Danes came to the United States. US imports from Denmark during the years 2006 through 2007 increased as follows: food oils and oilseeds moved up from $5.7 million to $8.3 million; soft beverages, processed coffee and other drinks went up from $27.6 million to 31.6 million; finished textile industrial supplies increased from $7.9 million to $14.5 million and artwork, antiques, stamps, and other collectibles moved up from $21.7 million to $26.3 million. On the decline were medicinal, dental and pharmaceutical preparations, which decreased from $1.2 billion to $1.1 billion (which is up from $691,065 in 2003); records, tapes, and disks went down from $3.2 million to $2.8 million; fuel oil down from $154 million to $106.8 million (which is up from $49 million in 2003); and steelmaking and ferroalloying materials (unmanufactured) down from $36.6 million to $0. US exports to Denmark increased in the following sectors: sorghum, barley and oats increased from $0 to $33.7 million; nonferrous metals increased from $9.7 million to $21.9 million (which was up from just $3.9 million in 2003); measuring, testing and control instruments up from $51.7 million to $69.1 million; and medicinal equipment increased from $189 million to $224.7 million. US exports declining from 2006 to 2007 included wheat, which fell from $407,000 to $0; fuel oil declined from $91 million to $16.2 million; computer accessories decreased from $118.7 million to $94.5 million; and TVs and VCRs moved down from $10.5 million to $9.4 million (which still represented an increase from $3.7 million in 2003). The US authorized $526.7 million of defense articles and services to Denmark in 2007. Currently, the US does not give aid to Denmark. Twelve cartoons, one of which depicted the Muslim prophet Mohammed with a turban shaped like a bomb with a burning fuse, drew a firestorm of controversy when they first appeared in the Danish newspaper Jyllands-Posten on September 30, 2005. The newspaper’s editors said they never meant to insult Muslims, but they refused to apologize. The editors claimed that the cartoons were meant to stimulate debate on the climate of self-censorship that has existed when discussing Islam. The Muslim religion prohibits any depictions of their prophet, even those that are respectful in nature. In response to the cartoons, many Muslim leaders left Denmark. Libya closed its embassy, as did Saudi Arabia. An Arabic boycott of Danish goods was hastily arranged in Kuwait and neighboring countries. The Danish government expressed its regrets, but cited the country’s freedom of the press and vowed not to intervene. Hezbollah urged Denmark and Norway to apologize. Palestinians burned Danish flags in the West Bank. President George W. Bush expressed his full support for Denmark and its decisions. In May 2004, Danish government officials came under attack from opposition parties and the media when it came to light that many had exaggerated or misused intelligence claims leading the nation into war in Iraq, alongside the US. The government denied that it had misled Parliament and the Danish people. One Danish Defense Intelligence Service analyst, Frank Soholm Gevil, was fired for disclosing the information. Gevil said that he felt pressure to submit reports that confirmed US and British intelligence, and he faced criminal charges going forward. Although Prime Minster Anders Fogh Rasmussen’s credibility took a hit, most Danes, at the time, favored military intervention in Iraq. By August 2005, a plurality of Danes wanted their troops withdramn from Iraq, which they in December 2007. According to the State Department, the Danish government generally respects the human rights of its citizens, and the law and judiciary provide effective means of dealing with individual instances of abuse. Reports of religious and ethnic discrimination against minority groups have remained relatively constant over the past several years, while domestic violence against women and trafficking in women and children continued to be reported. In 2007, there were isolated incidents of societal abuses and discrimination, including anti-immigrant (mainly Muslim and African) graffiti, desecration of ethnic minority gravesites, and low level assaults, as well as some denial of service and hiring on racial grounds. Societal discrimination against religious minorities was difficult to distinguish from discrimination against ethnic minorities. The government criticized the incidents, investigated several and brought some cases to trial. Violence against women, including spousal abuse, remained a problem. During the year the Institute for Public Health and the National Organization of Women's Shelters estimated that 64,000 women in Denmark were exposed to domestic violence or the threat of domestic violence annually and that, in 2006, 29,000 children aged 15 or younger were living in homes where the mother was exposed to violence. The National Organization of Shelters for Battered Women and Their Children reported that in 2006 shelters provided a safe haven for 4,242 women and children, in an increase over the previous year; 43% of the women supported were noncitizens, which was also a proportional increase over the previous year. In 2006 there were 85 cases reported of racial discrimination or racially motivated violence; however, some incidents went unreported. Reported cases involved graffiti, vandalism, theft, and racist Internet and written messages. According to police, the victims were “Jews and people of an ethnic origin other than Danish” (usually meaning both African and Middle Eastern ethnic groups). Minority group members were also sometimes the perpetrators of the incidents. The government effectively investigated and dealt with cases of racially motivated violence. According to Amnesty International, a letter to Minister for Justice Lene Espersen of June 2008 outlined the organization’s concerns about comments he had made in a Danish news article of May 10, 2008. The letter suggests that the Danish government was contemplating the use of diplomatic assurances to return or otherwise send foreign nationals to states where they might face torture or cruel, inhuman or degrading treatment or punishment. Other groups, such as Human Right Watch, have also opposed this practice, saying it provides too much latitude for misuse of power. Note: Commissioned during a recess of the Senate; recommissioned after confirmation on Feb 19, 1850. No record has been found of presentation of letter of recall or departure from post. Note: Nominated on Feb 25, 1856, to be Envoy Extraordinary and Minister Plenipotentiary; nomination withdrawn before the Senate acted upon it. Commissioned during a recess of the Senate; recommissioned after confirmation on Feb 8, 1854. Note: James M. Buchanan was the cousin of President James Buchanan (1857-1861), and received his appointment during his cousin's administration. Note: Commissioned during a recess of the Senate; recommissioned after confirmation on Feb 4, 1871. Note: Commissioned during a recess of the Senate; recommissioned after confirmation on Oct 29, 1881. Termination of Mission: Notified the Government of Denmark from Paris, Sep 8, 1882. Note: Commissioned during a recess of the Senate; recommissioned after confirmation on Jan 9, 1890. Note: Commissioned during a recess of the Senate; recommissioned after confirmation on Dec 18, 1897. Note: A commission of the same date as Envoy Extraordinary and Minister Plenipotentiary to Denmark and Iceland was canceled. Note: Formally received on Sep 8, 1939. Atherton was still holding office as Envoy Extraordinary and Minister Plenipotentiary to Denmark when he was recommissioned as such on Jul 8, 1943, in connection with additional appointments as Envoy Extraordinary and Minister Plenipotentiary to Canada and Luxembourg, resident at Ottawa. R. Borden Reams was serving as Chargé d'Affaires ad interim when the Legation in Copenhagen was closed, Dec 20, 1941. Note: The mission at Copenhagen was reopened as a Legation Jun 16, 1945, with Minister Davis in charge pending presentation of his letter of credence. Note: Commissioned during a recess of the Senate; recommissioned after confirmation on Aug 3, 1989. 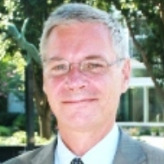 Denmark's Ambassador to the U.S.
Peter Taksoe-Jensen took over as Denmark’s ambassador to the United States in September 2010. Born in 1959 in Copenhagen, Taksoe-Jensen received a law degree from the University of Copenhagen. He served in the Danish Ministry of Justice from 1986-1987, before joining the Ministry of Foreign Affairs. He headed one of the foreign ministry’s sections until he was posted to the Royal Danish Embassy in Vienna, Austria (1989-1992) as first secretary. Returning to Denmark, Taksoe-Jensen was made head of section at the Department for Security Policy (1992-95). For most of the remainder of the 1990s, he was head of section (1995-1999) and counselor (1999) for the Permanent Representation of Denmark to the European Union. He spent 1999-2003 as head of section at the Department for Legal Service, and then served as undersecretary for legal affairs and head of the Legal Service (2003-2008). Prior to becoming ambassador to the U.S., Taksoe-Jensen served as assistant secretary-general for legal affairs at the United Nations. His other activities include being a member of the Commission on the Law on Archives, established by the Danish Minister for Culture (2002-2003), member of the Commission on Jurisdiction, established by the Danish Minister for Justice (2004-2008), and chairman of the Danish Governments Commission on the Red Cross (2007-2008). He also has lectured for numerous courses on EU law, policies and negotiations, and procedures and techniques (1999-2008). Denmark's Embassy Web Site in the U.S.
Denmark’s Embassy in the U.S.
President Barack Obama has nominated one of his top fundraisers to serve as the next ambassador to Denmark. Rufus Gifford, who most recently served as finance chair of the Presidential Inaugural Committee, raised millions for Obama’s two presidential runs, especially among the gay community, where he and his former partner were dubbed “Obama's Gay Gold Mine” in 2008. If confirmed by the Senate, Gifford would succeed Laurie Fulton, who served in Copenhagen from 2009 to 2012. Born circa 1974 in the Boston area, Gifford grew up in a wealthy home, son of banker Chad Gifford, who ran some of Boston’s biggest financial institutions, including the Bank of Boston. After graduating St. Paul’s School in Concord, New Hampshire, in 1992, Gifford earned a double major in American Civilization and Theater at Brown University in 1996, where he was a classmate of Alexandra Kerry, daughter of another St. Paul’s alumnus, John Kerry, who at the time was the junior Senator from Massachusetts. Moving west to work in the movie industry, from 1998 to 2004 Gifford was creative executive for Davis Entertainment, an independent film company in Los Angeles. Although some of his films were commercially successful, many were panned by critics. His credits include Dr. Doolittle 2 with Eddie Murphy, First Daughter with Katie Holmes, and Life or Something Like It with Angelina Jolie. Growing discontented with his work, in 2003 Gifford got in touch with classmate Alexandra Kerry and did some “low level” finance work for John Kerry during the 2004 presidential primaries. After Kerry won the nomination, Gifford quit Hollywood and went to work for Kerry as deputy finance director for the western region, where he supervised the raising of more than $30 million. Gifford worked as a political consultant in California from 2004 to 2008, signing on to work for Barack Obama in 2007. Since that time, he has held a series of job titles focused on fundraising. Together with his romantic partner of the time, Jeremy Barnard, Gifford raised almost $80 million from California for the Obama’s presidential campaign, the largest amount from any state. From 2008 to 2009, he was the California finance director for the Presidential Inaugural Committee, from 2009 to 2011 Gifford was finance director for the Democratic National Committee, and he was finance director for Obama for America from 2011 to 2012. Gifford is a federal club member of the Human Rights Campaign and a partner in conservation for the World Wildlife Fund.